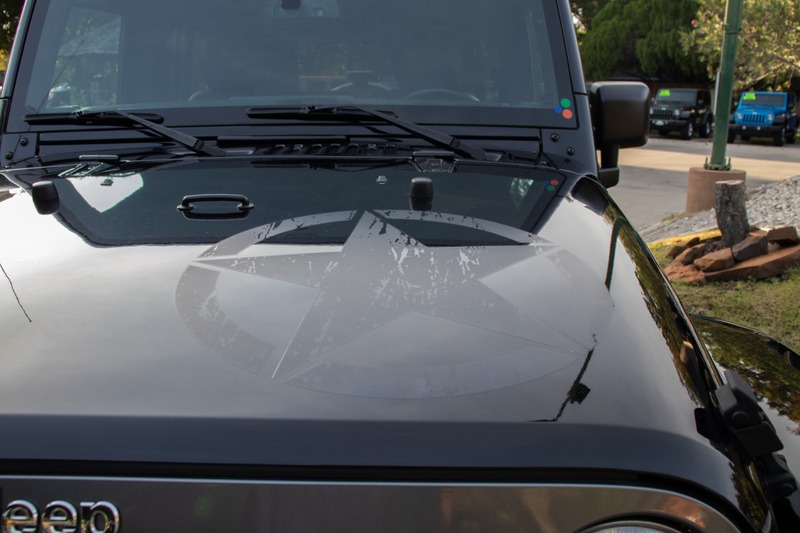 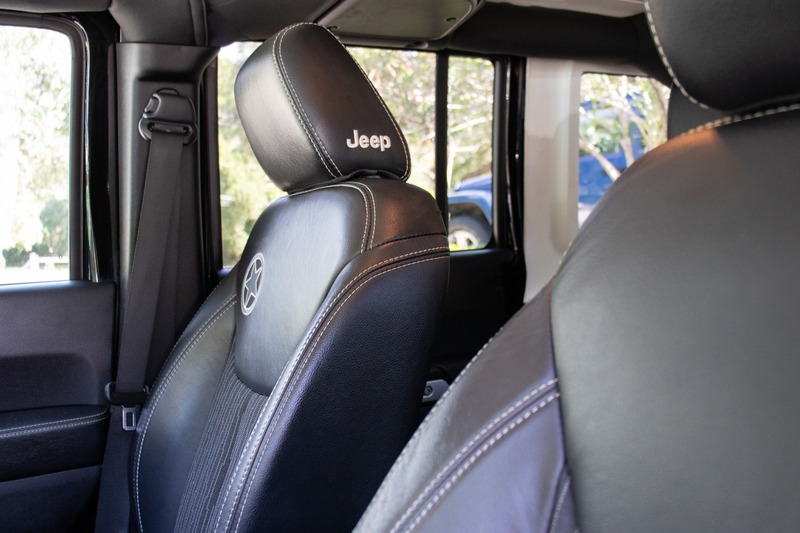 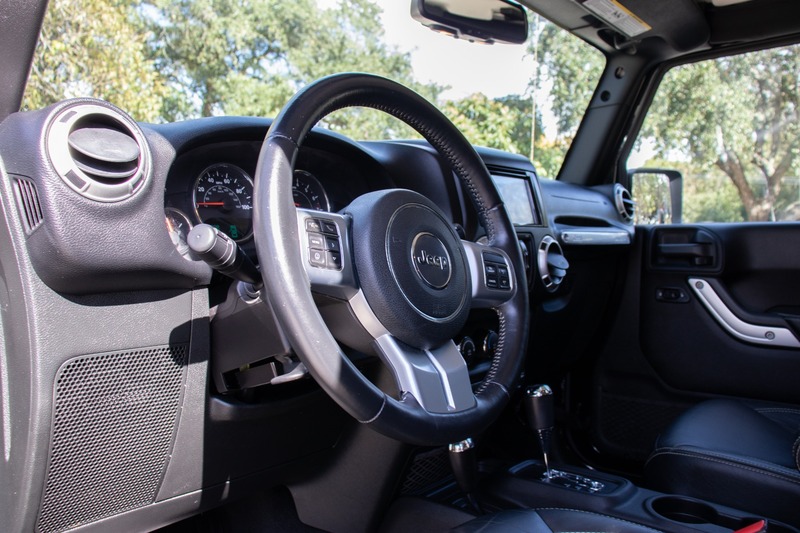 This rare limited Freedom Edition Jeep Wrangler is stunning inside and out. 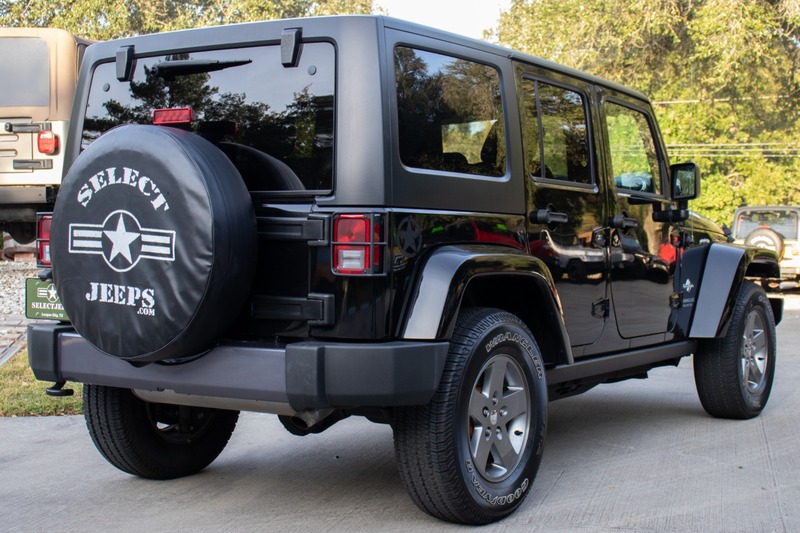 The sharp black exterior is accented with a silver grill, silver bumper inlay, and a silver Freedom Star decal on the hood. 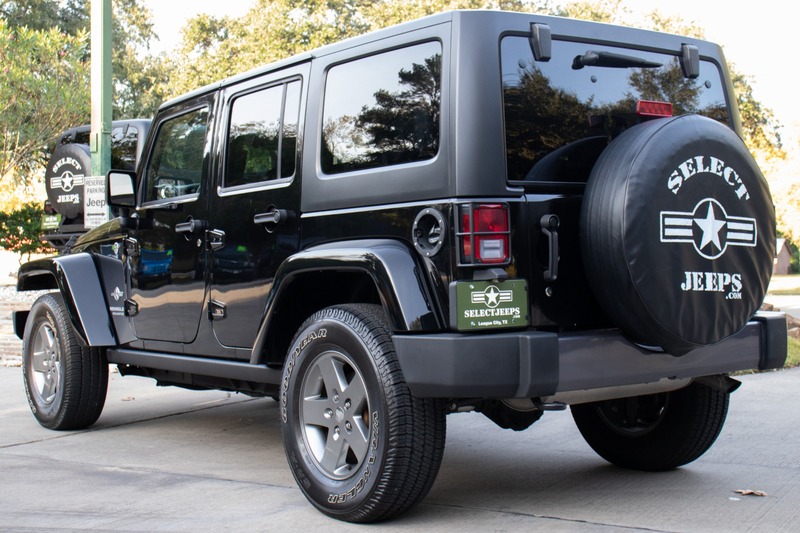 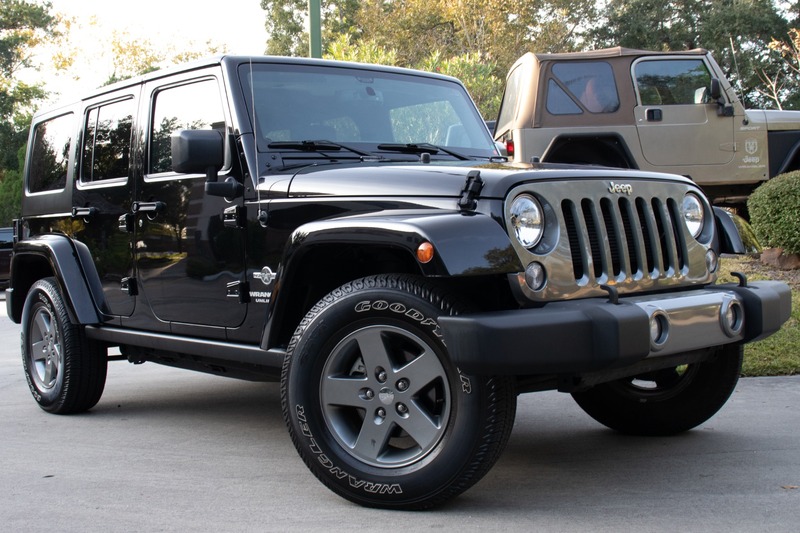 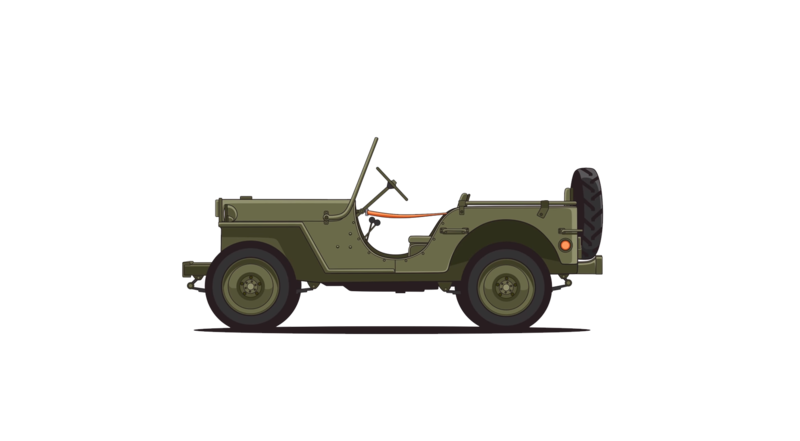 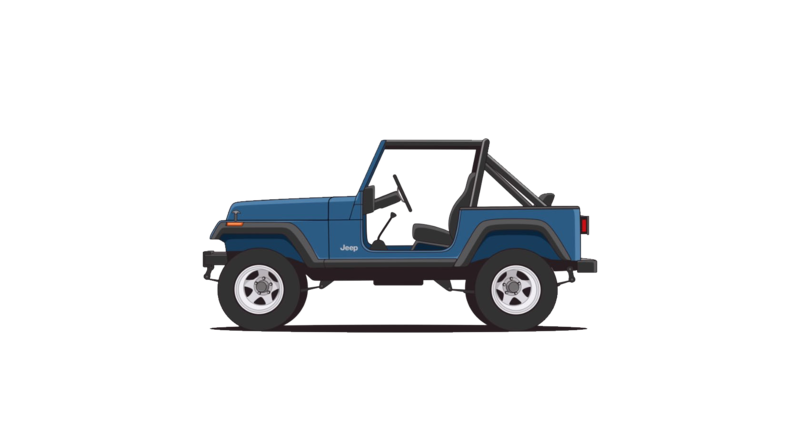 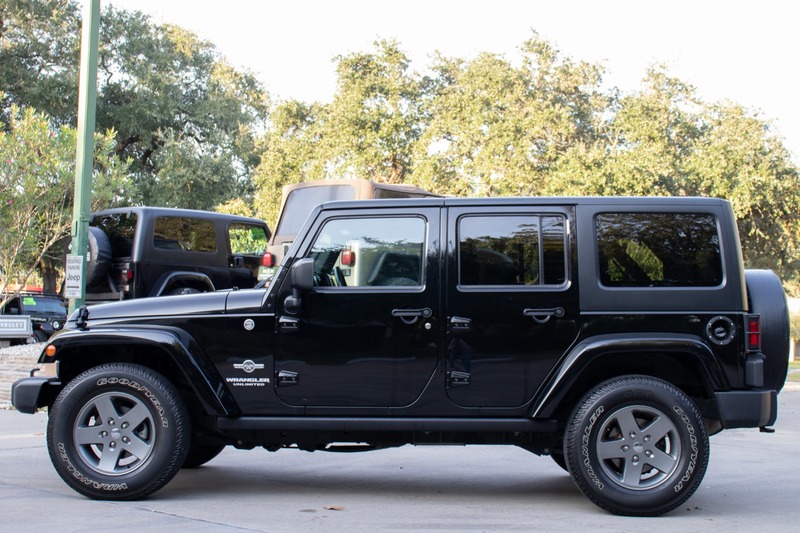 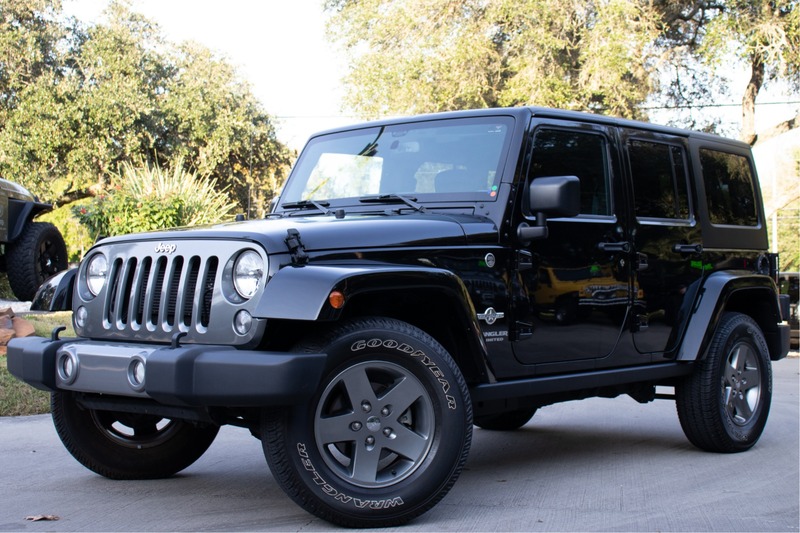 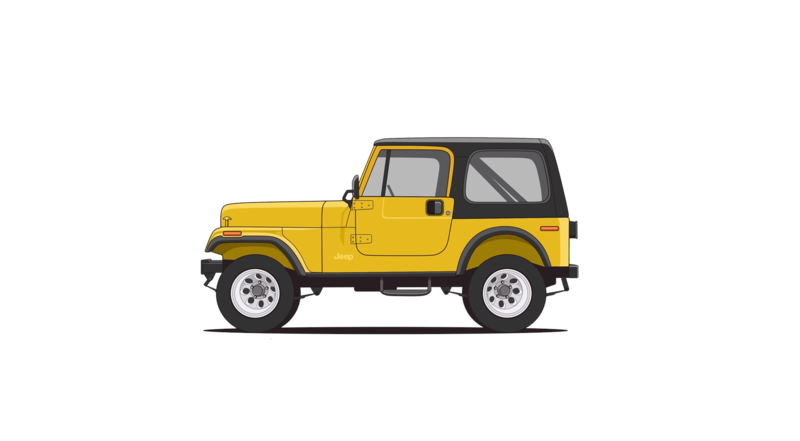 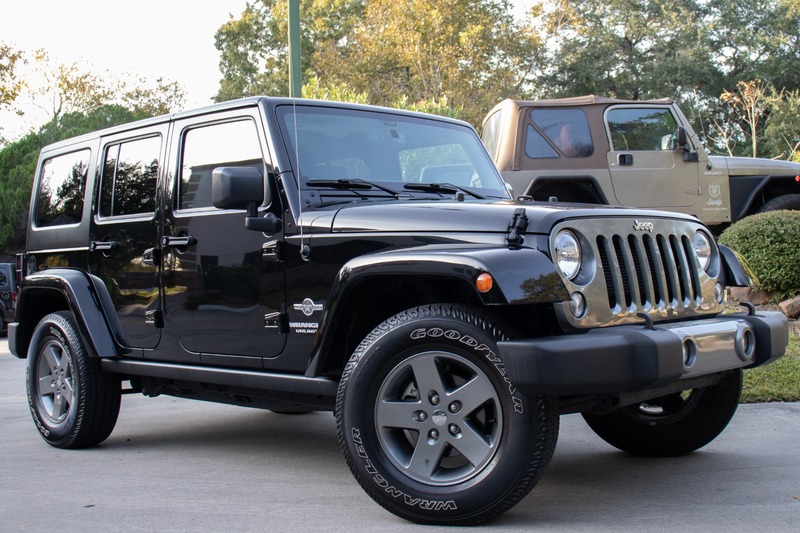 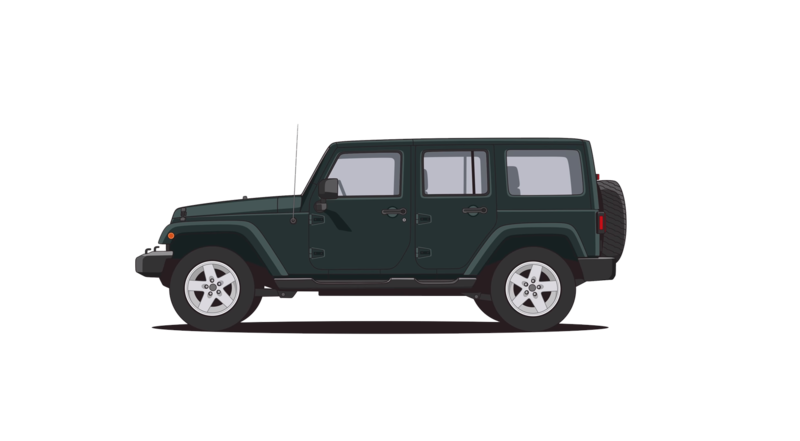 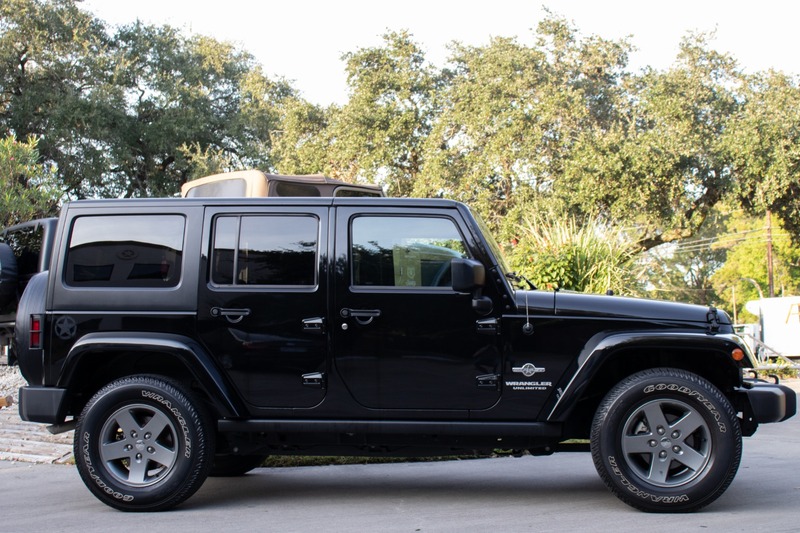 Goodyear Wrangler tires give this Jeep a premium on-road ride. 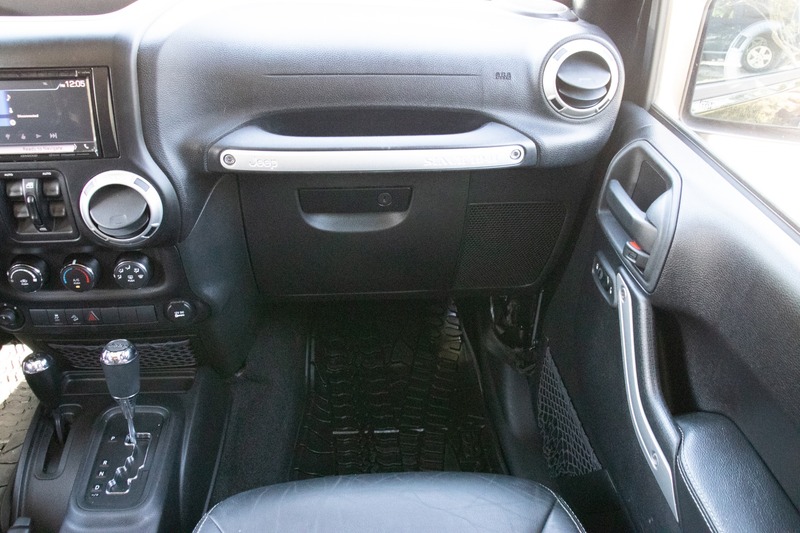 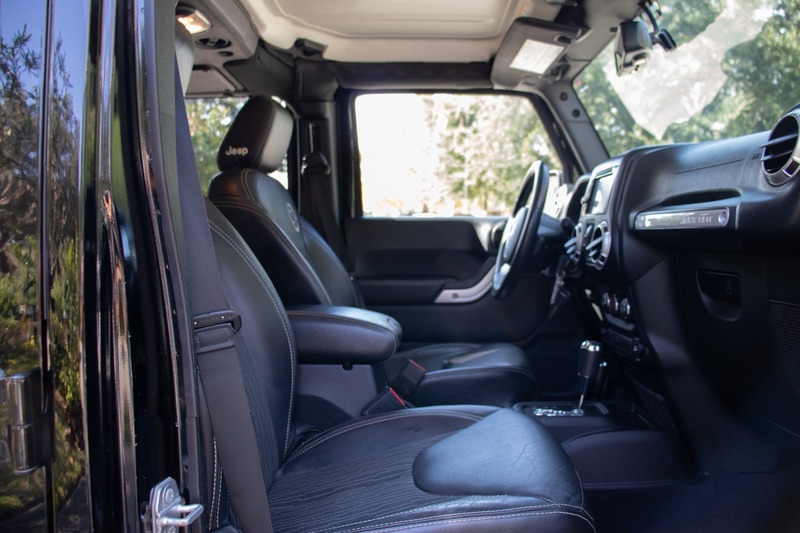 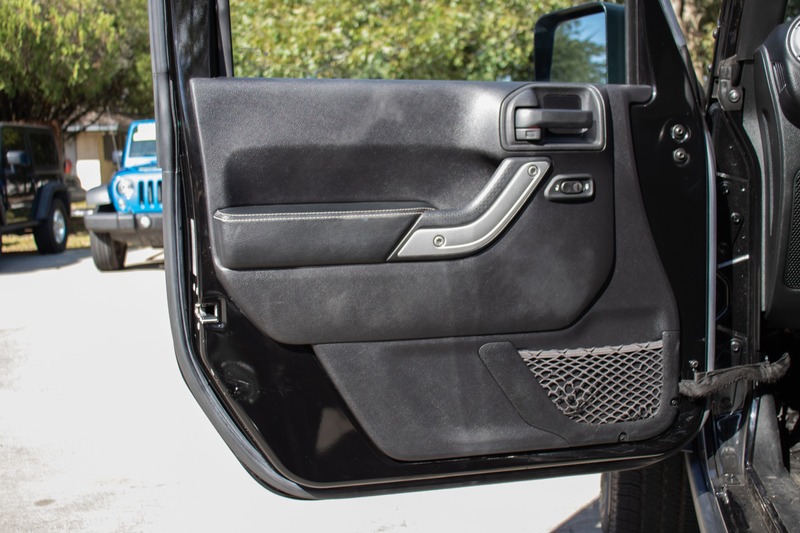 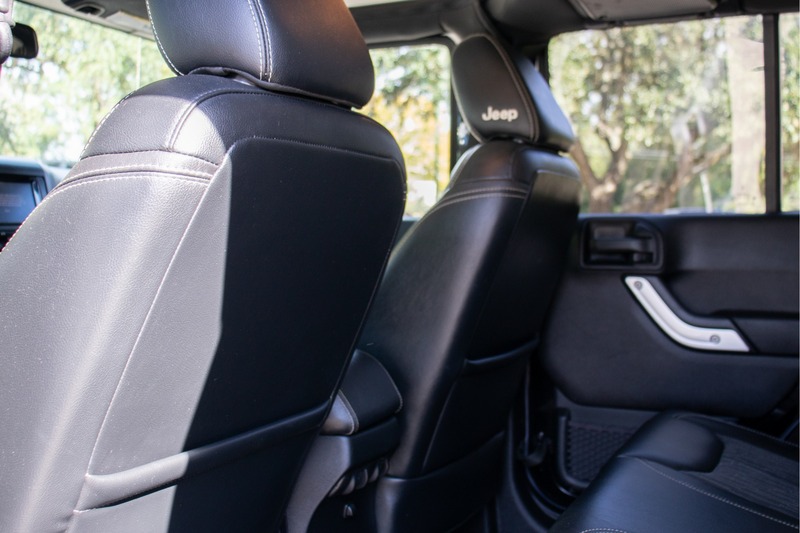 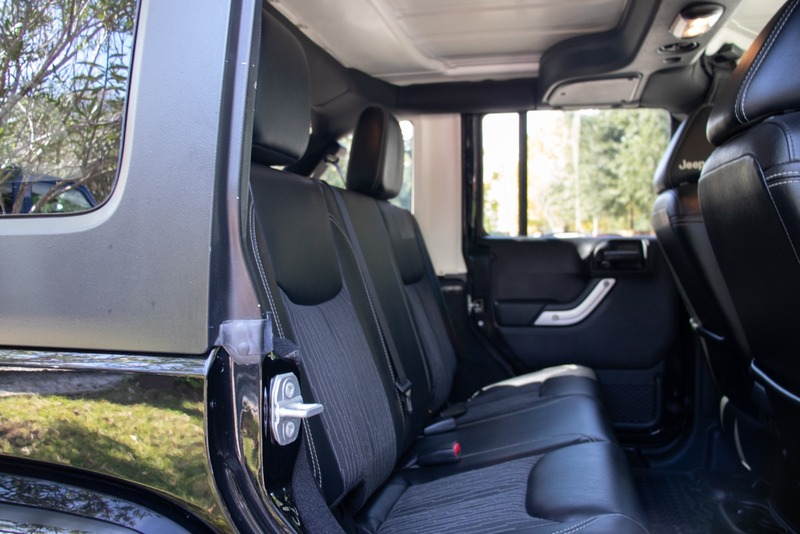 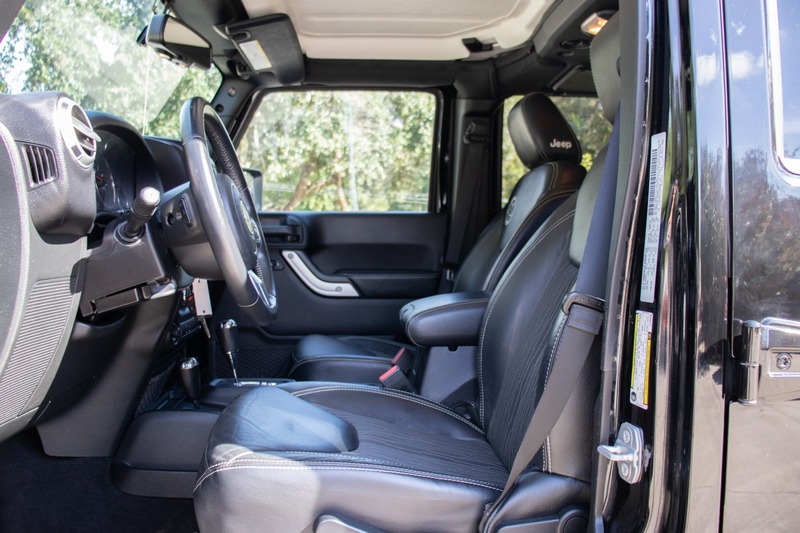 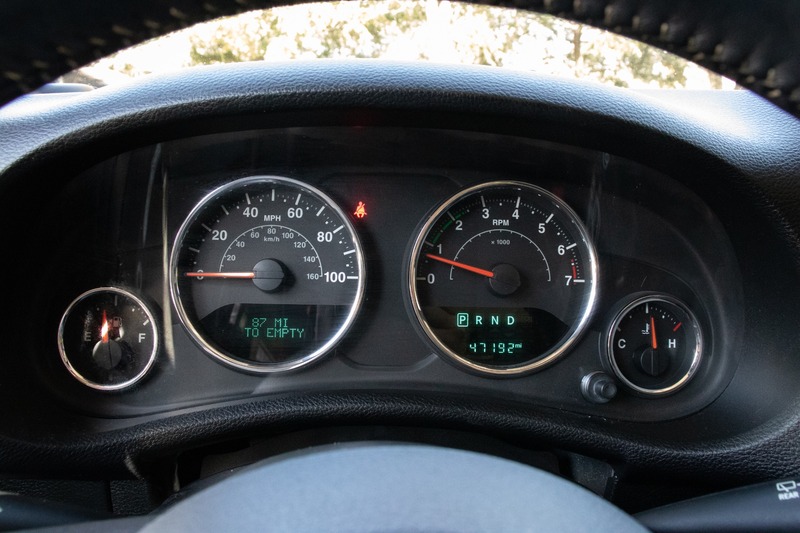 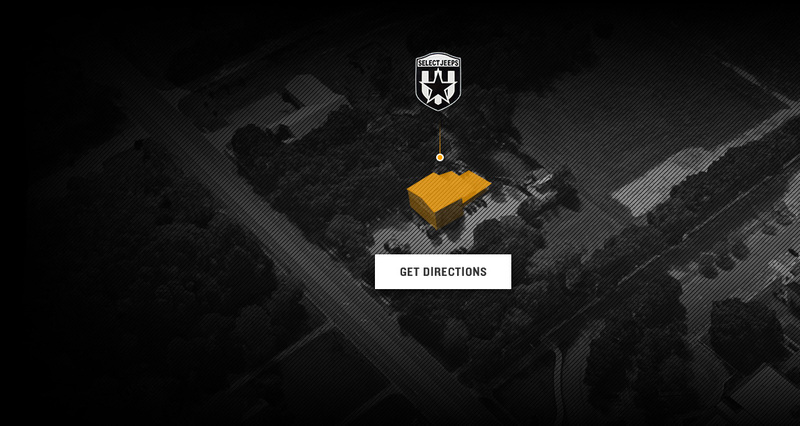 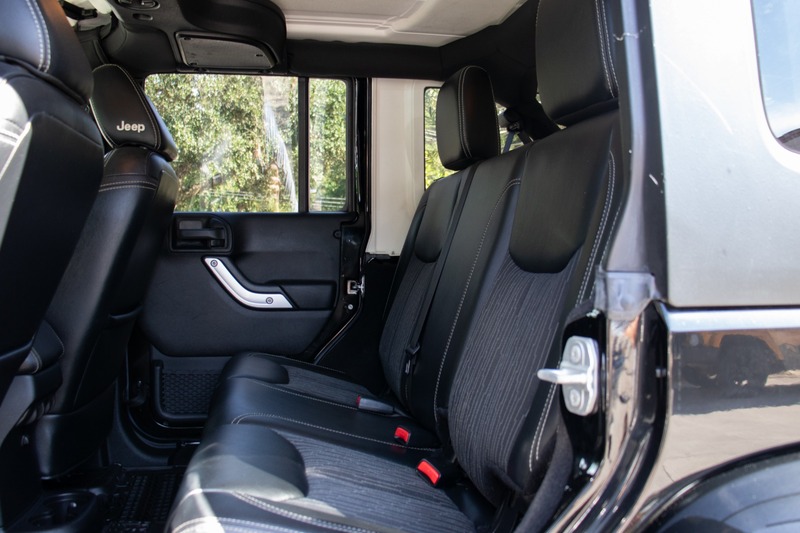 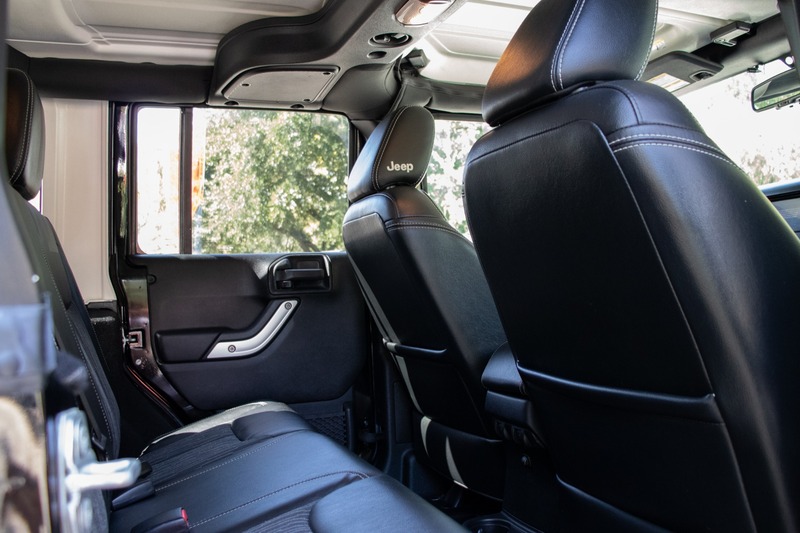 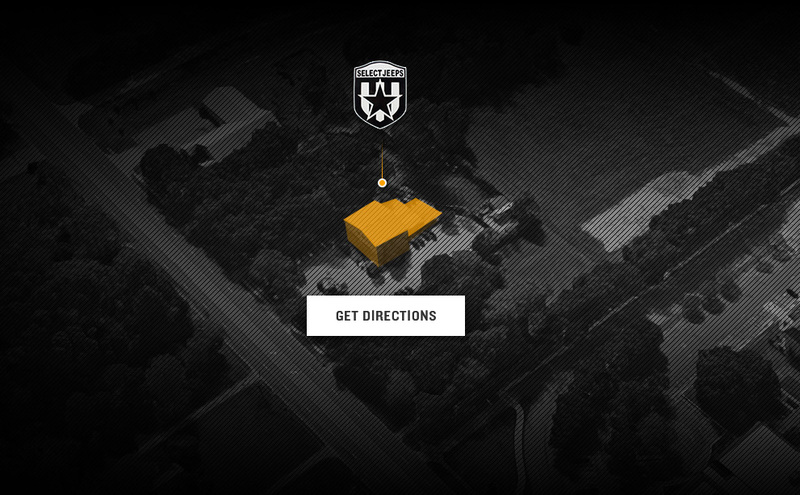 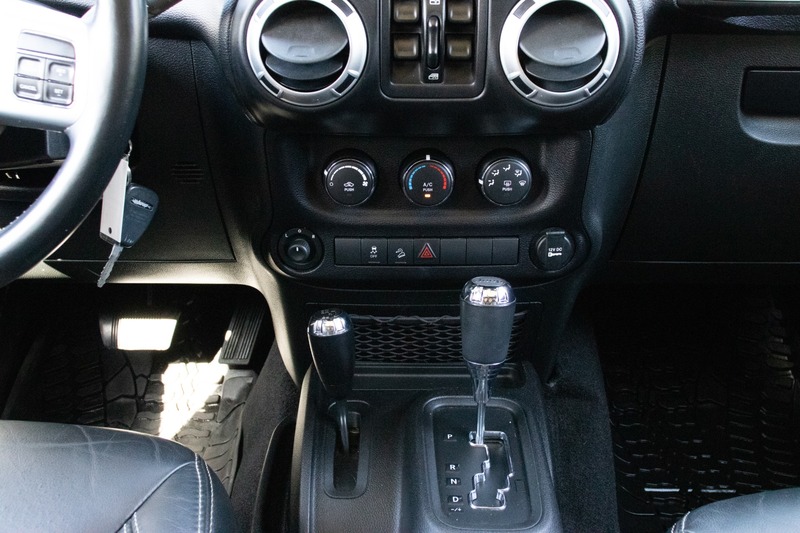 Inside is a clean and comfortable black interior. 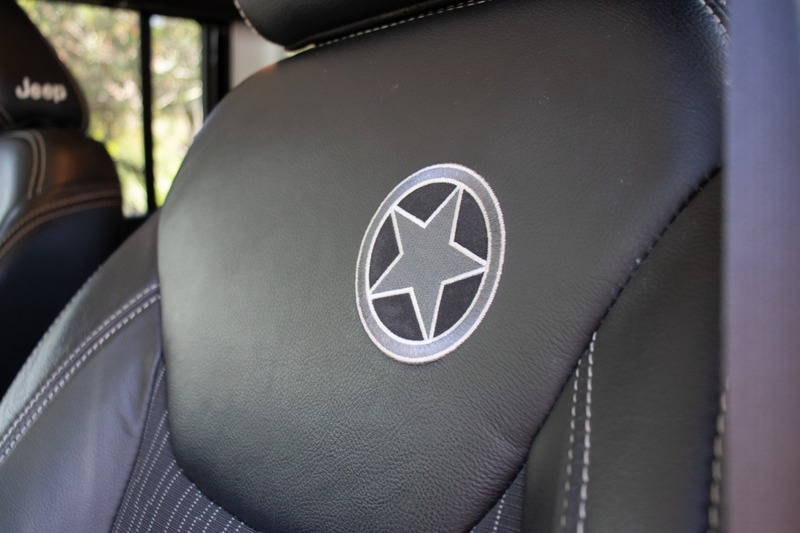 The comfortable black and grey leather and cloth seats are embroidered with a grey Freedom Editon Star, giving the interior a unique feel. 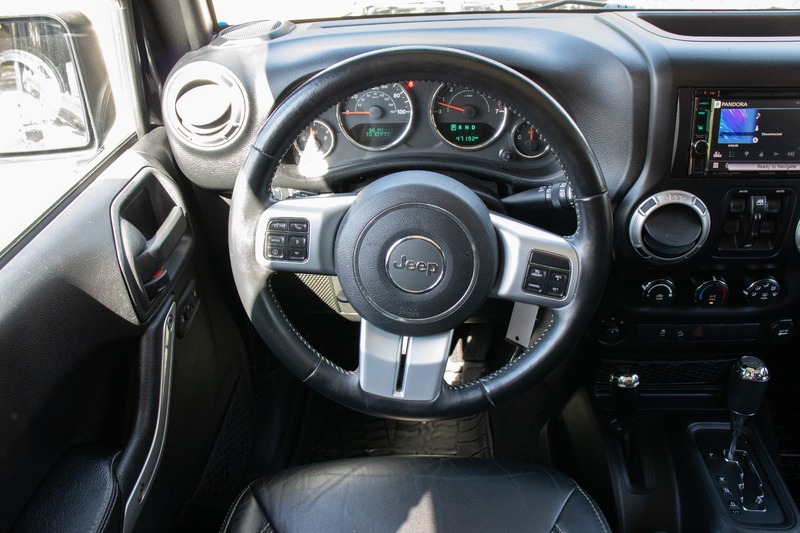 The leather-wrapped steering wheel is equipped with cruise control and hands-free calling, for a more comfortable commute. 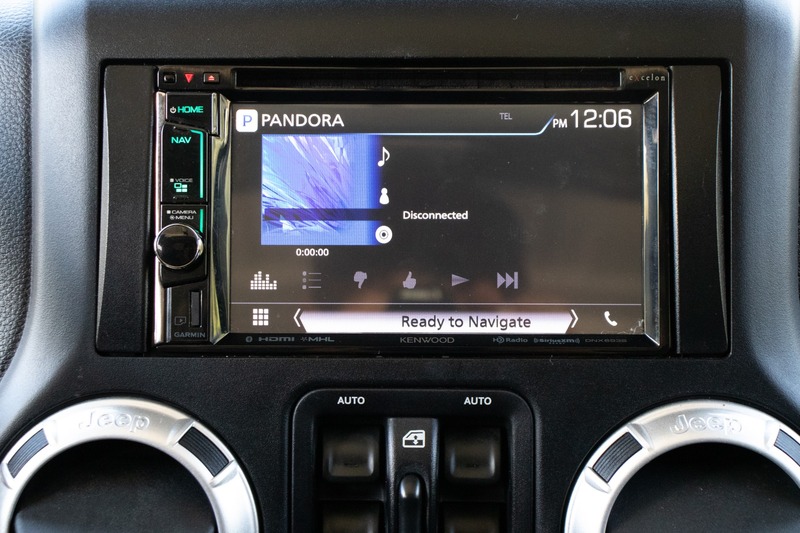 The premium Kenwood entertainment system is Pandora ready, Sirius XM ready, and Bluetooth ready, giving you a variety of ways to listen to music. 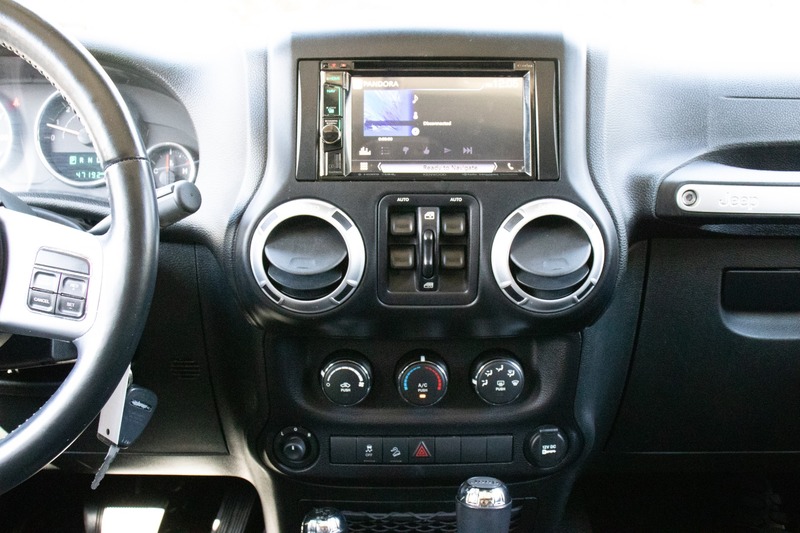 This entertainment system also allows you to insert a Garmin navigation chip for easy, up-to-date navigation. 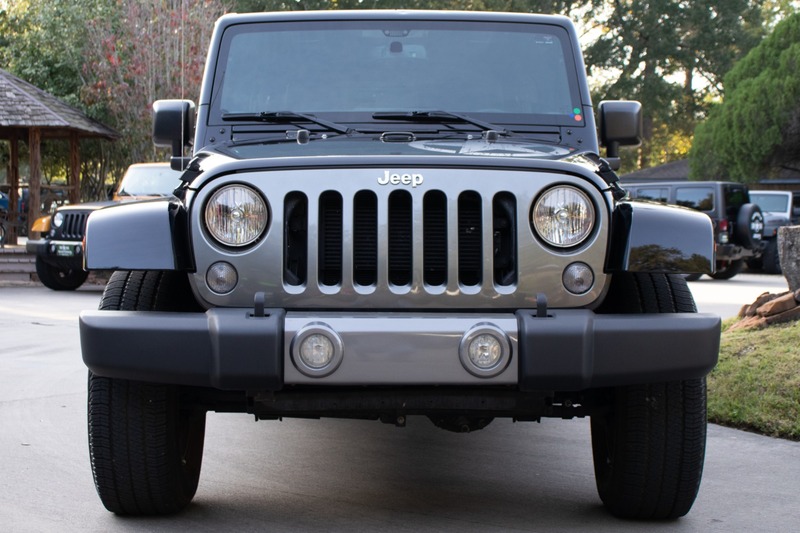 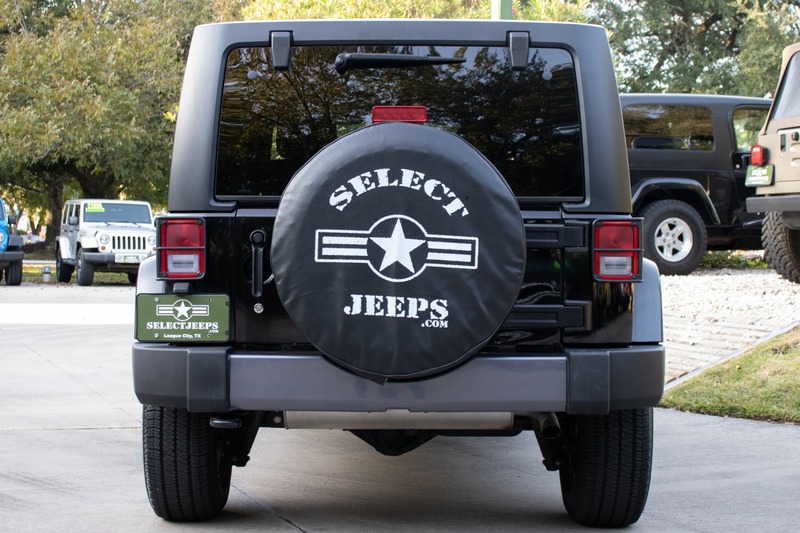 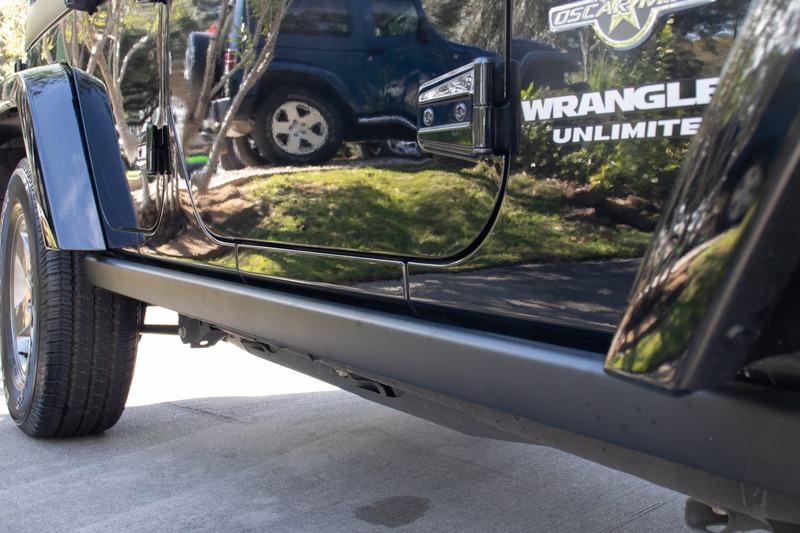 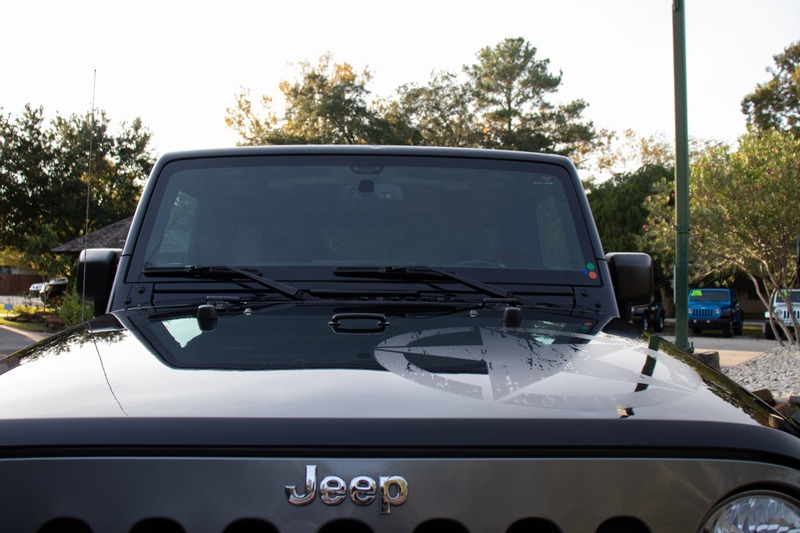 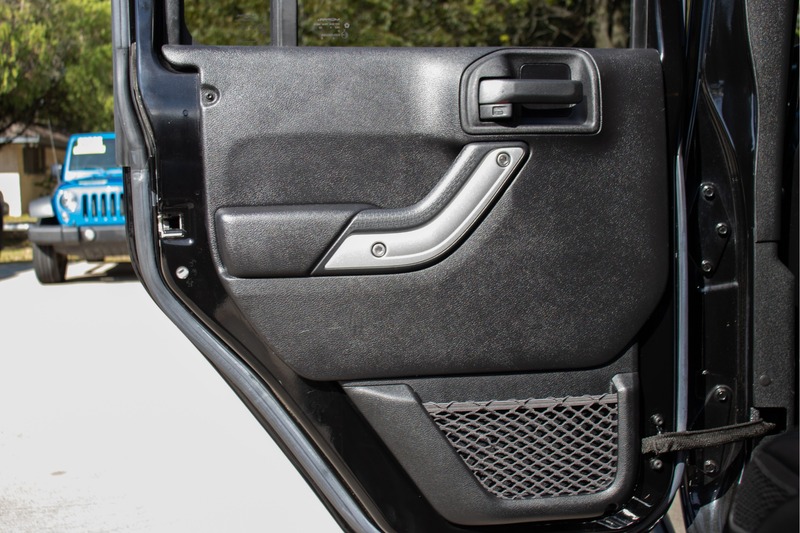 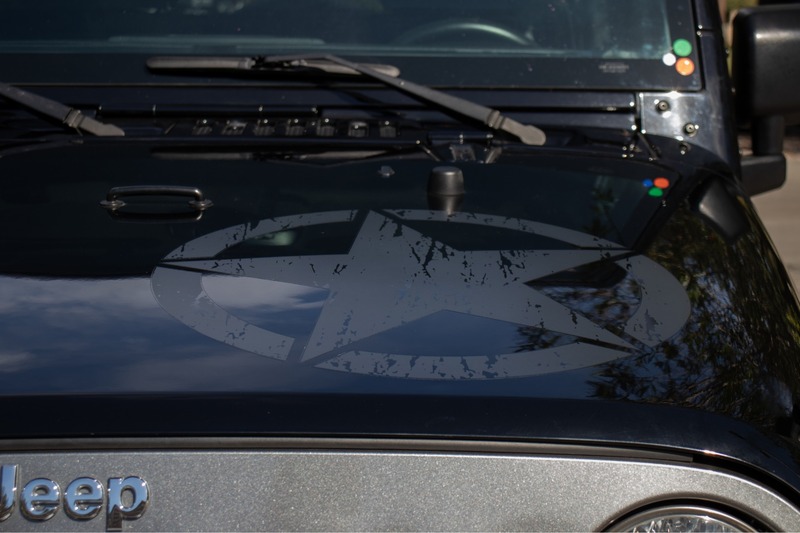 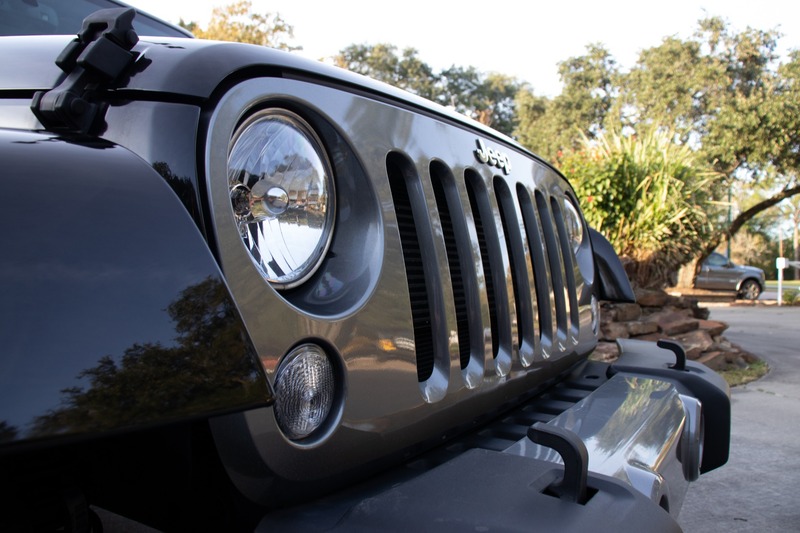 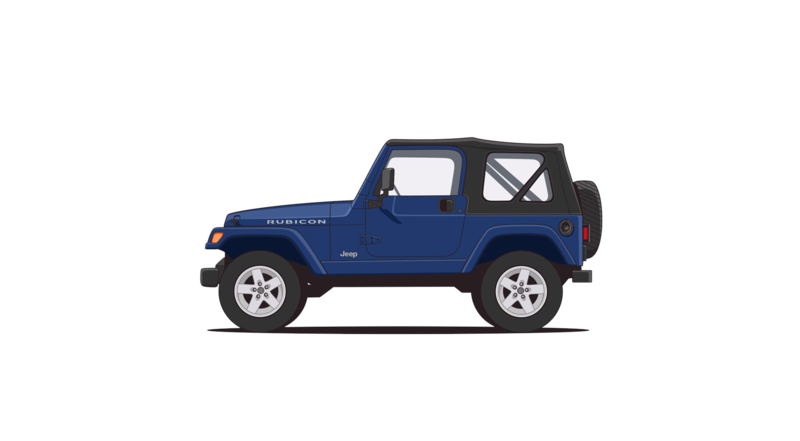 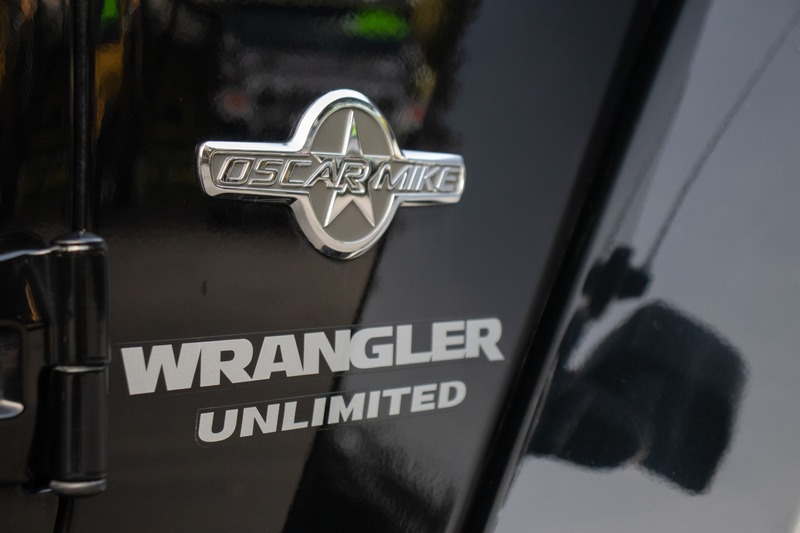 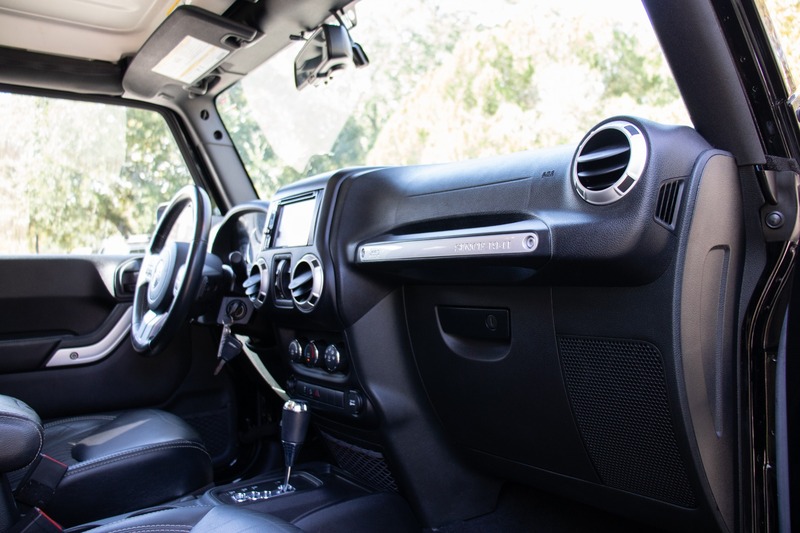 The metal rock sliders on the side offer some added protection while on the trail or in those cramped parking lots.